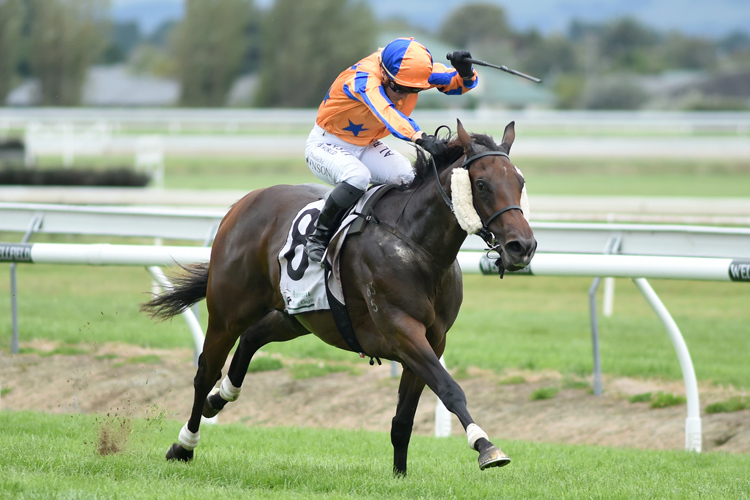 Champion two-year-old Avantage and stakes winner Chance to Dance took the opportunity of an exhibition gallop between races at Hastings on Saturday, a day that saw the powerful Te Akau Racing team produce a notable winning double. Trainer Jamie Richards saddled his first Group One winner since taking sole charge of the Matamata operation when Melody Belle took out the Gr.1 Tarzino Trophy (1400m) while Te Akau Shark scored a scintillating fresh-up victory over 1200 metres. Galloping 5 f in 1:02.5, with the last 3 f in 34.5, Avantage travelled well within herself on the rail, with Chance to Dance to her outside as the pair finished locked together at the completion of an eye-catching workout. Richards was also pleased with the work of Chance To Dance who showed his class last season with a pair of black-type victories. “Chance to Dance is coming up really well,” Richards said. “He’s looks terrific, as sound as he’s been. Although plans are yet to be finalised Avantage could resume in the Gr.3 Hawke’s Bay Breeders Gold Trail Stakes (1200m) on 22 September at Hastings, while Chance to Dance may contest the Listed Haunui Farm Karaka Classic (1600m) on 23 September at Pukekohe, a race he won fresh-up last year carrying 60kgs. Richards also reported his Hastings winners have pulled up well after their exertions. “They’re good and I’m happy with them,” he said. “Obviously, a little bit of feed left in the bin, but we’re pleased with how they trotted up this morning. “We’re very lucky to have that mare (Melody Belle). She’s very special and has been very good for my career, so I can’t thank her enough.